Ubisoft just announced that it’s bringing a digital version of Monopoly to the Nintendo Switch. It’ll be out in the Fall, and supports “up to six players online or offline”. 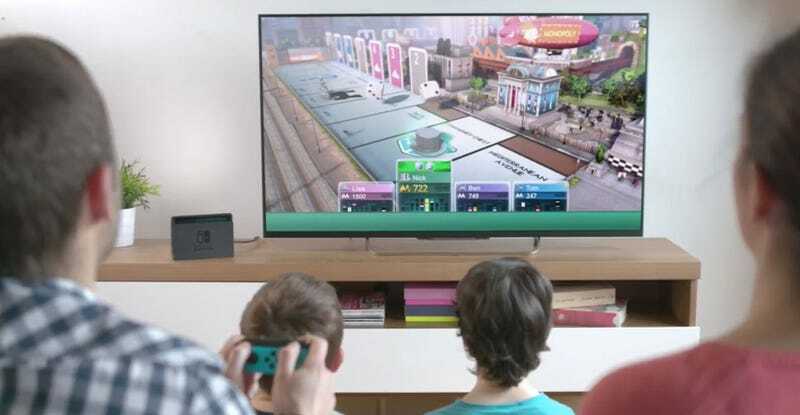 You can get Monopoly on pretty much every gaming system known to man, but this version looks especially cool because of the Switch’s portability, which will let people play on the go/on a table, and has rumble in the controllers to simulate the dice roll. Ubisoft also say this version has “new rules”, and that “As they progress, players can also win rewards, unlock new exclusive content and watch the city prosper in front of their eyes”.